Don’t you hate it when your expensive whiskey gets diluted by melting ice? No need to worry about this problem any more because we have brought you a revolutionary way to keep your favorite drink chilled and undiluted. 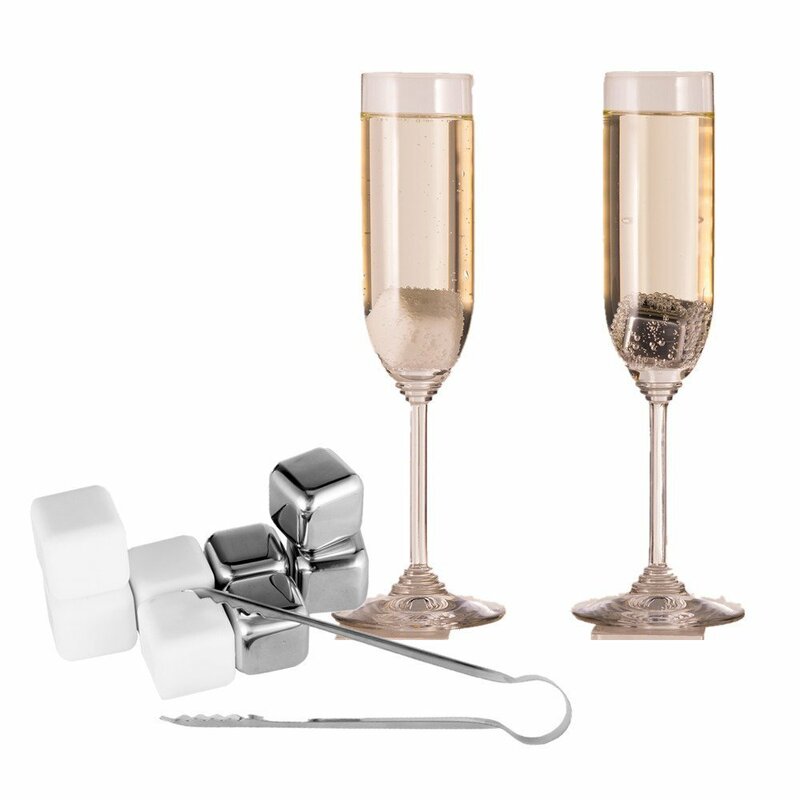 Our product set comes with 4 stainless steel ice cubes and 4 ceramics. Filled with a secret non-toxic gel, it takes much less time to freeze and keeps your drink chilled much longer than conventional ice, but the best thing about it is that you can taste your favorite drink chilled without diluting it.